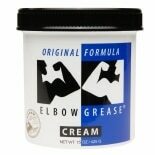 Elbow Grease Original Cream L...15 oz. 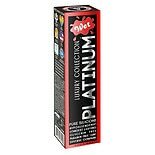 Wet Platinum® Premium Body Glide is Extra Concentrated making it longer lasting, with less need for reapplication. Wet Platinum® is guaranteed to never become sticky and feels silky smooth. Great for moisturizing body massage and skin conditioning. Also revitalizes dry leather and latex clothing. Will not harm those materials. Wet® products are doctor recommended for enhancing your most intimate moments. Apply as needed to the area of the body you wish to moisturize. Reapply as desired. Easily washes away with soap and use immediately. If irritation or discomfort occurs discontinue use immediately. Do not use if tamper evident seal is removed or broken. Keep out of eyes and ears. Keep out of reach of children. Store at controlled room temperature 59 to 86F (15 to 30C). Very slippery. Clean spills immediately. This product may stain some fabric. Test a small area before use. For cosmetic use only. Do not use near an open flame. Once opened, bottle may leak if not stored upright. Do not use with other silicone products. 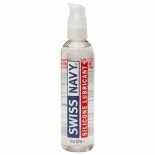 Gun Oil Silicone Lubricant, L...8 oz.